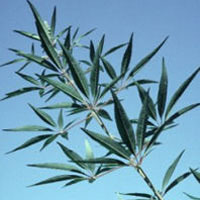 Vitex (Agnus castus) grows in Mediterranean countries and central Asia. The dried fruit, which has a pepper-like aroma and flavor, is used in herbal medicine preparations. Hippocrates, Dioscorides, and Theophrastus mention the use of vitex for a wide variety of conditions, including hemorrhage following childbirth and assisting with the “passing of afterbirth.” Decoctions of the fruit and plant were also used in sitz baths for diseases of the uterus. In addition, vitex was believed to suppress libido and inspire chastity, which explains one of its common names, chaste tree.